"Fruity sweet and nutty drop cookies." Cream the shortening with the brown sugar. Beat in the eggs. Stir in the buttermilk. Blend in the flour, baking soda and salt. Once well combined stir in the chopped pecans, candied cherries and chopped dates. Cover and chill dough for at least 1 hour. Drop spoonfuls of chilled dough onto lightly greased baking sheets. Bake at 400 degrees F (205 degrees C) for 8 to 10 minutes. These cookies are wonderful. Have been making them a couple of years. Always get asked to make more and more. 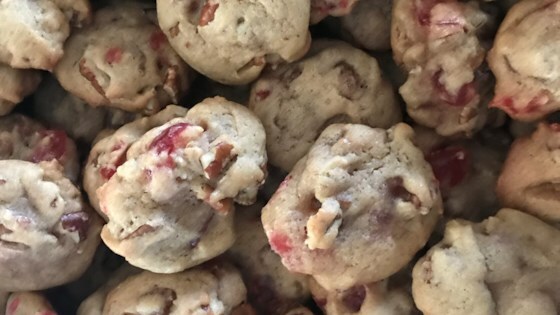 this is the best fruit cookie recipe that I have ever used. My family loved them. thanks for this recipe. Not the recipe I was looking for. The cookies were too flat.